With being so busy at uni all the time, I feel like I haven't had the time to really dress up much lately, so when we do have the occasional night out I love using it as an excuse to get really dolled up! I'll plan my outfits in advance and this combo is my recent favourite, it's definitely going to be used for the next night out, even if it is on my birthday night out at the end of April! 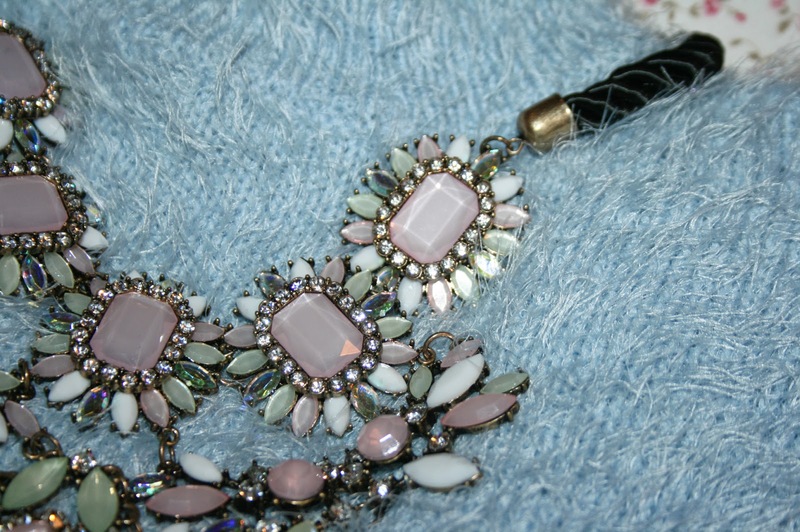 I was kindly sent this necklace from DressLily and it has quickly become my favourite SS14 go-to necklace! 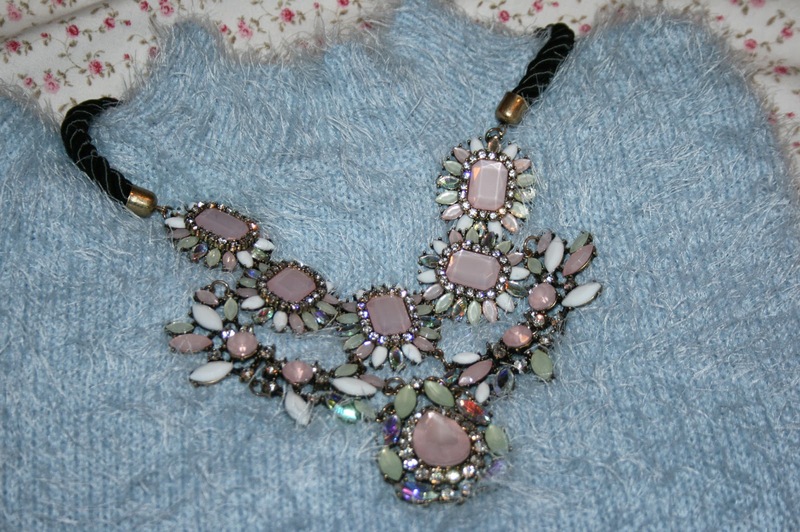 There are so many pretty colours in it which means that it goes well with lots of different coloured clothing. I've had it go well with pink, blue, cream, white and black so far! The black roping is a nice detail too as it means that the necklace is slightly less formal and can be worn during the day too. DressLily is an online shop which is based in China and ship internationally. I was slightly worried about how long the necklace might take to arrive, but it did arrive within a week or two. The best bit is that flat rate shipping (7-20 days) is actually free of charge, and you can pay via Paypal too which is always the safest way to pay for anything online! What are you looking forward to wearing this S/S14? Would you wear this combo together? I love them together too! Thank you, I love the combo together aswell! oooh that necklace is beautiful! I love the colours when they're put together! 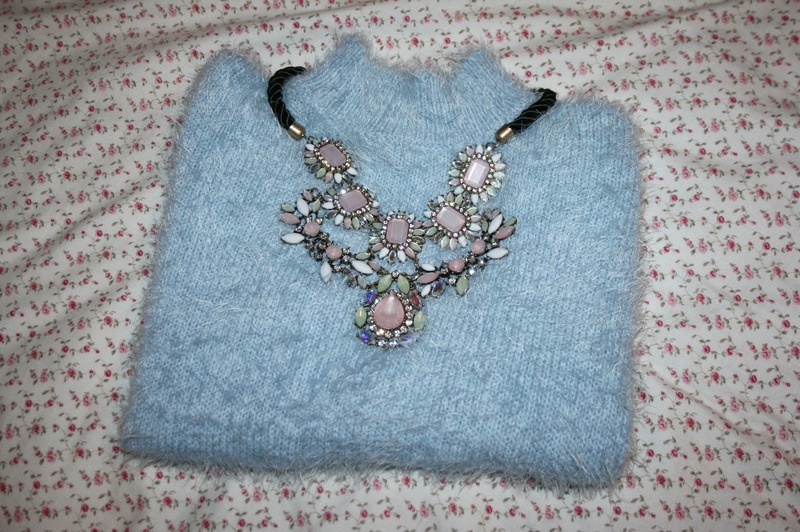 The necklace goes so well with the jumper. Looks really cosy, pastel colours are the best! Thank you, I love pastel colours too! Love that fluffy jumper, lovely colour! It's fast becoming my favourite colour! 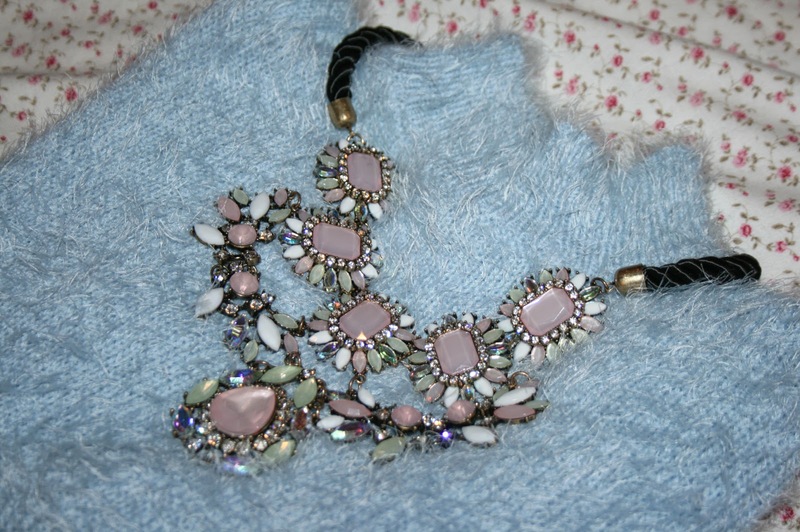 These go so well together and that necklace is gorgeous!